I'm less active these days because since 2016 I've been working full-time at my antique arms business, www.mandarinmansion.com. Gave a workshop on the basics of thumb ring archery. Presented a lecture on Manchu archery for this conference and mini exhibition of Manchu culture. Organized by S.P.T.A. 's founder and well-known bowyer Hilary Greenland, it always has plenty of interesting international guests mingling and shooting with local English archers. Evening lectures and the most entertaining award ceremony in the world of archery. The St. George shoot is like coming home to a bunch of good friends. An intensive training program with evening lectures of Ming and Qing archery by Justin Ma and myself. The event is hosted at Jaap and Kay Koppedrayer's bamboo farm. See the facebook event page and last year's review. Hosted a stand with Justin Ma of Cinnabar bow. Justin gave a demonstration of his Gao Ying style archery of the Ming. Organized by S.P.T.A. 's founder and well-known bowyer Hilary Greenland. A challenging 3d course, roving marks, and a whole range of other tests of archery. The St. George shoot is like coming home to a bunch of good friends. A symposium with professionals, collectors and researchers from different areas of the museum and / or archery world. I presented a talk on my research on Manchu archery. The second edition of this event, with three days of intense, focused training in traditional Chinese archery of a Ming and a Qing style. With Justin Ma, Jaap Koppedrayer and Peter Dekker and evening lectures by teachers and participants. The inaugural international traditional archery festival of France. Grand opening of the newly built archery training hall in Istanbul, with a competition consisting of 70 meter traditional Turkish "puta" shooting. Invited by Murat Ozveri of Tirendaz to attend as a representative of the Netherlands and of the Manchu archery culture. A three day seminar of Chinese archery, hosted by Jaap & Kay Koppedrayer. Accompanied by lectures covering Ming dynasty archery based on Gao Ying's inchworm method by Justin Ma and Jie Tan, Qing dynasty Manchu archery by Peter Dekker, and Japanese military archery by Jaap Koppedrayer. Addressed the Chinese Military History Society with a lecture "Design features of composite bows and their consequences on the battlefield" on their annual gathering at the Sheraton hotel. Visited Ju Yuan Hao's new shop at Panjiayuan. Visited the Beijing Archery Studio for a shoot. Attended the 1st World Folk Archery Tournament and presented a talk on researching Manchu archery during its seminar. Attended the annual SPTA shoot. Concluded with a visit to Hector Cole for a photo report and interview. 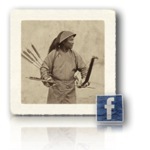 Interviewed Ku Ku, the last known formally trained Manchu archer. Researched the archery collection the Musée de l'archerie at Crepy-en-Valois. Taught a weekend seminar of Chinese / Manchu archery at "Guo Shu" concluded with the first Qing style military examination since 1908! SPTA shoot with subsequent visits to the reserve section of the Ingo Simon collection, part of the Manchester archery collection in the Manchester Museum, and the Royal Armories in Leeds. Visited the guys at www.tirendaz.com and visited the Topkapi Palace and Istanbul Military Museum. Advised the latter about whistling arrows. Presentied a lecture on Asian archery, followed by two days of demonstrations and workshops on Manchu archery. Taught a weekend seminar of Chinese / Manchu archery at Chinese martial arts school "Guo Shu". Presented a lecture on antique Manchu archery equipment, as well as a demonstration at the World Traditional Archery Festival 2009. Teaching a workshop of Manchu archery at Landgoed Roswaard for Golden Flower Taiji. Presenting a lecture on historical Chinese weapons followed by a two day seminar in their use. Teaching a weekend seminar of Chinese / Manchu archery to teachers of bagua of "Central Pa-Kua Italia". Presented the jurors of the STN (Dutch National Taijiquan Association) with a lecture on antique Chinese arms. Two days of seminars on Manchu archery at the Elf Fantasy Fair, as well as lectures about antique Chinese arms. Demonstrated Manchu archery and presented a lecture on Manchu archery at the World Traditional Archery Festival. Visited the Metropolitan Museum of Art to research their collection of Manchu / Chinese archery equipment. Demonstrated Manchu archery at the World Traditional Archery Festival. Bought my first antique Manchu bow in Beijing. My interest got started. Got acquainted with Yang Fuxi on a visit to his workshop. Fe Doro is available for seminars, lectures and demonstrations around the world!